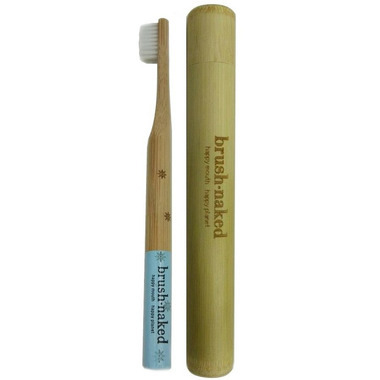 The Brush Naked Winter Edition Toothbrush comes with their 100% bamboo-handled toothbrush and soft nylon bristles. It is sealed in a 100% biodegradable/compostable cello wrap for your protection and placed inside a bamboo toothbrush travel case. Each tube is made from an actual stalk of bamboo!